Malayalam cinema came into being through the pioneering efforts of a dentist, who hailed from the village of Agastheeshwaran in Kanyakumari district. The dentist, J. C. Daniel, sold all that he owned and used up his life savings to make Vigathakumaran, the first Malayalam film, which was a silent movie. His audacious leap of faith was not met with either encouragement or support from the artistic community or the general public, and in one swoop, the fates reduced Daniel from a wealthy man to a pauper. J. C. Daniel died in utter poverty. In 1933, the second film, Marthandavarma, also a silent movie was made by R. Sunderraj, a relative of Daniel. After a week of running to packed audiences, the publishers of the novel on which the movie was based, Kamalayalam Books, filed a case of copyright violation. Though he argued the case valiantly, Sunderraj lost the battle with the publishers and the movie had to be shelved. Five years later, a group of young film enthusiasts of the Madras Malayali Association got together and produced the first talkie, Balan, under the banner of Salem Modern Theatres. Balan (1938), directed by S. Notani, a Parsi, was a huge hit. Following the success of its first talkie, Salem Modern Theatres went on to produce many more movies. In these early years, the nascent industry was populated by artistes and others who had their roots in theatre. 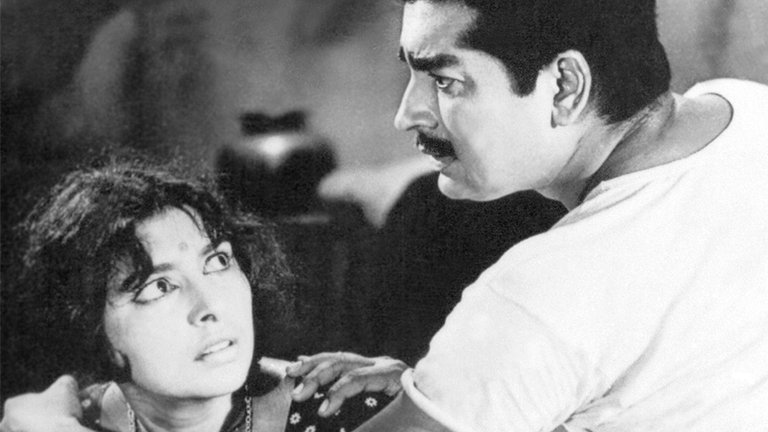 1940 saw the production of Jnaanaambika, followed by Prahlaada in 1941. However, post Prahlaada there was a lull for a long period. It was through Prahlaada that Subrahmanyam, the luminary who later became the pillar of the Malayalam movie industry, made his presence felt. In 1948, the movie Nirmala, which introduced playback singing, was produced. A year later, Kunjacko, one of the stalwarts of the industry who went on to become a household name, and some of his friends, set up the famous Udaya Studio in Alappuzha (formerly Alleppey). With this, the number of films that were being produced saw a significant increase.